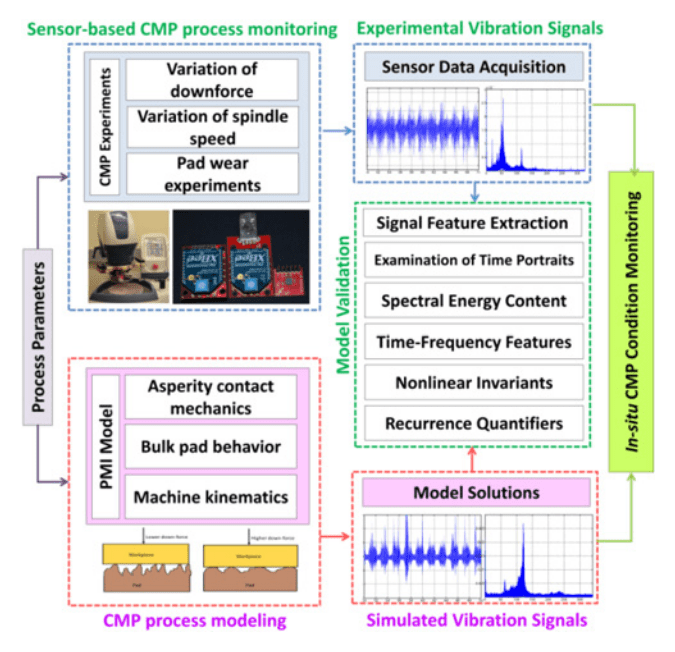 Worked on the development of a deterministic physical model of the Chemical Mechanical Planarization (CMP) process which attempted to explain the sources of the bursts and other non-linear behaviour that are typically observed. Developed the simulation in Simulink and conducted experiments on a Buehler grinder polisher to develop and verify the model. 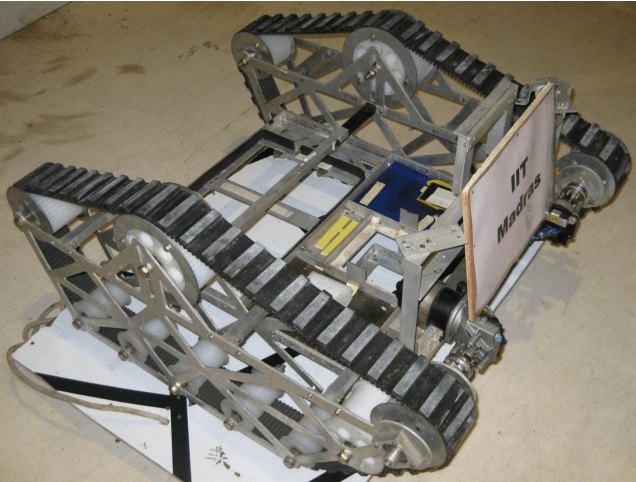 Problem statement: Develop an autonomous off road robotic platform which can navigate a rough terrain and avoid natural and man made obstacles in the shortest amount of time. Team: Led an 8 member team of motivated undergraduate students. Personal Contribution: Mechanical Design, GPS based navigation, and image processing. One of the 14 teams (out of 250 teams) which cleared the preliminary stage. Placed among the top 5 teams in the finals all over the country. Invited for the Young Engineers’ Visitation Program (YEVP), organized jointly by Indo-US Science and Technology Forum (IUSSTF) and Lockheed Martin to the Lockheed Martin Centre for Innovation, Suffolk, VA, USA. Worked in a tobacco Green Leaf Threshing (GLT) factory. Applied a systems approach of study to analyze the steam and compressed air usage patterns in the plant and suggested improvements based on the best practices in industry. Also, redesigned the entire compressed air distribution layout to meet the future increase in demand. The improvements account for an annual saving of ₹ 0.8 million. Offered a job with the company upon graduation. I was nominated for the program due to our team’s performance in the DRDO Student Robot Competition 2010. Our team along with the other top five performers participated in this program. communication of manufacturing status to design and product management teams. 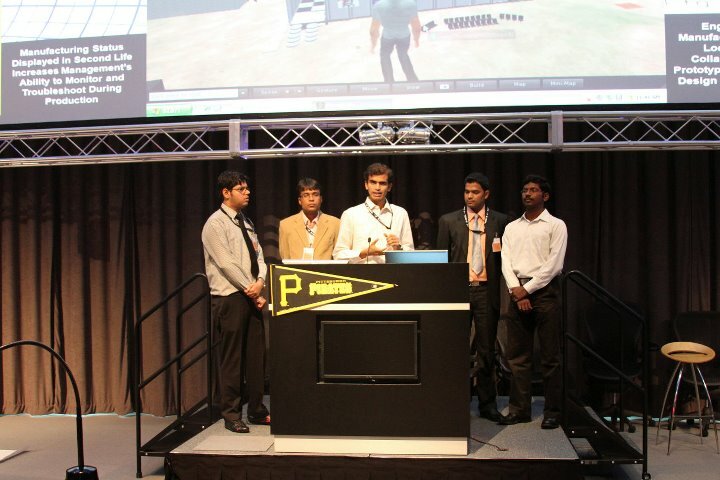 We Presented a solution for the above problem, developed in the Second-Life environment to an audience including several scientists from Lockheed Martin. Bring the team members together, establish a structure for teamwork. Act as a facilitator for communication between the problem statement organizers (“customers”) and the team. Ensure that we have a shared understanding of the same thing. Work with the team to understand the customer needs and layout a problem definition. Distribute work evenly among the team members to achieve the goals. Directly contribute in the Second Life object creation and scripting for the factory simulation. Our team was awarded the prize for “Virtual Collaboration Conceptualization”.